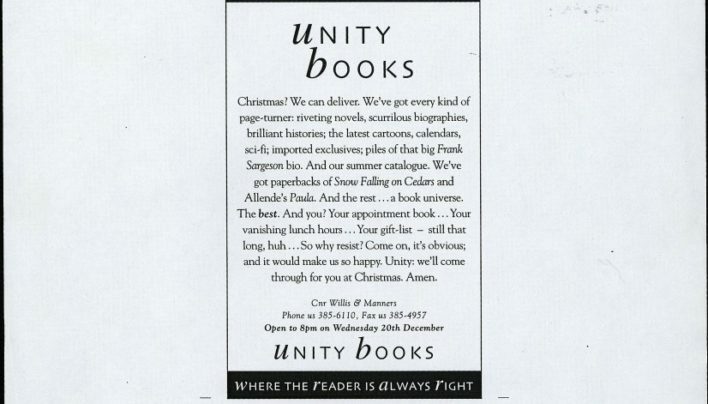 Our newspaper advertisement from 1998. 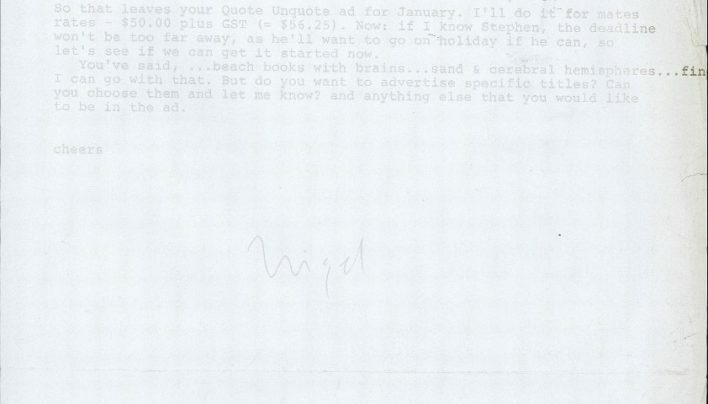 The planning process for our Christmas advertising in 1995. 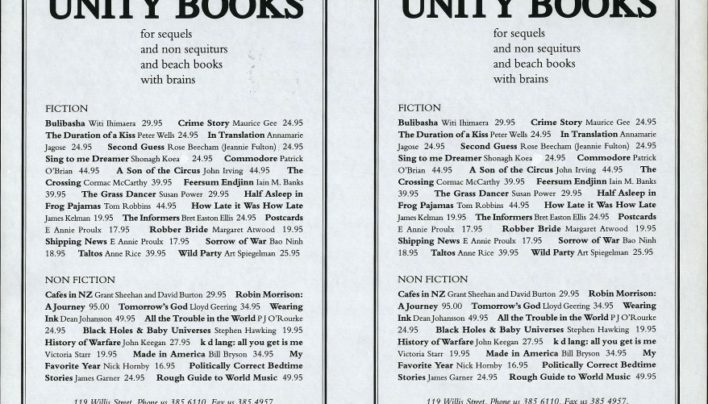 Our advertisement for Christmas and Summer 1994 features our picks of “beach books with brains”. 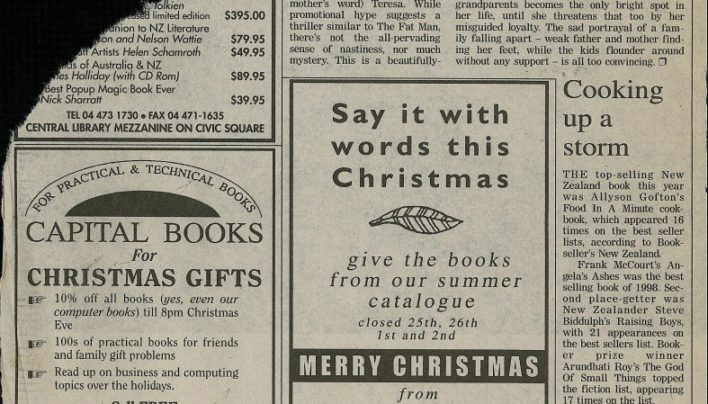 Our Christmas bribery advertisement from 1993. 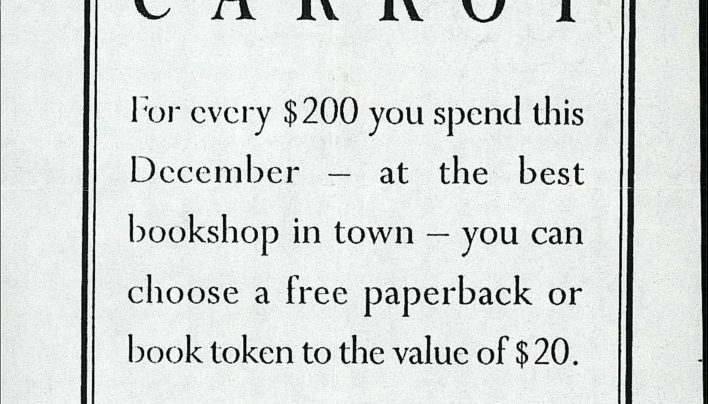 A time-faded Christmas advertisement from 1992. 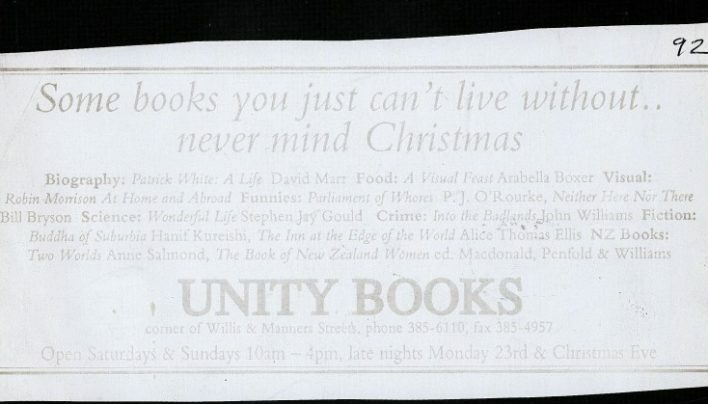 A selection of Christmas advertisement ideas and designs from 1990-1993. 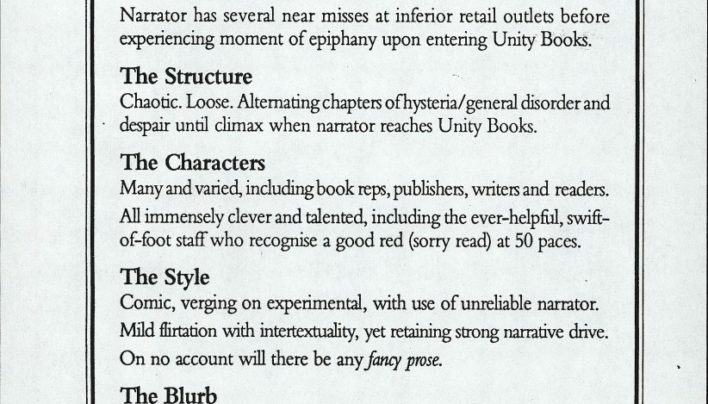 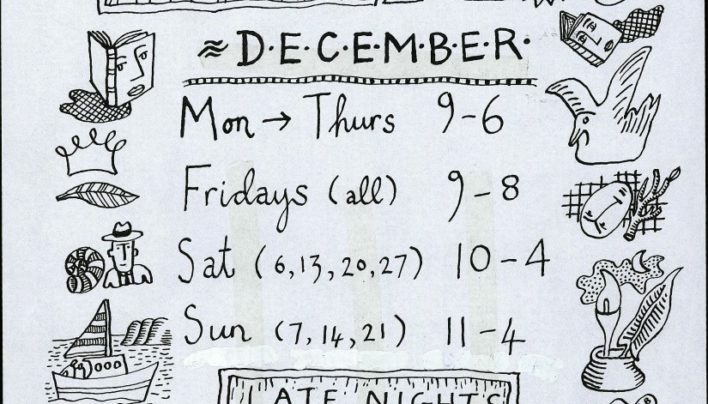 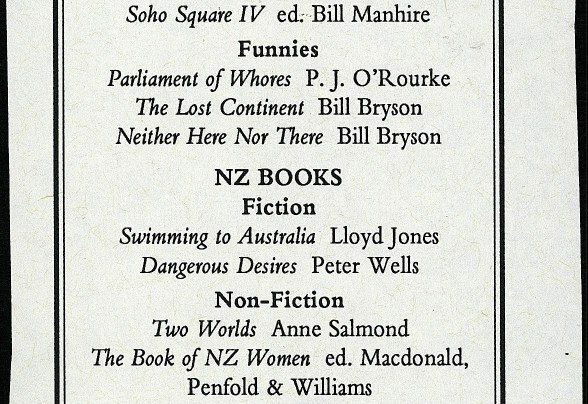 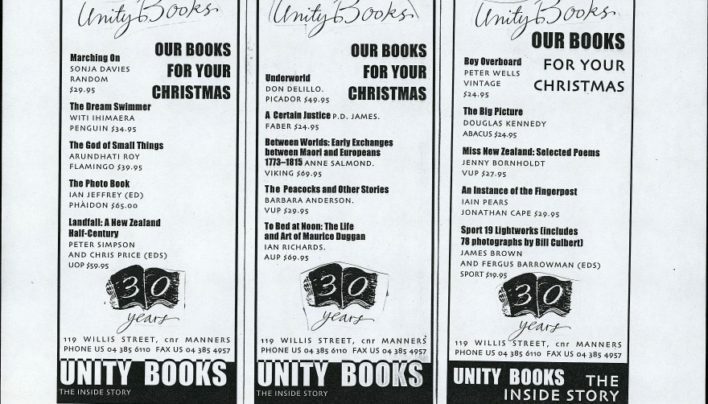 Our Christmas advertisement for 1991 features our favourite books of the year.